Whatever space you have available for growing and enjoying your plants, it’s important to get as much colour and value from the area, and the things growing in it, as possible. With many varieties of plant, regular dead-heading will prolong their blooming season, but with annual bedding plants there’s also another method to keep that colour fresh – succession planting. There’s nothing too tricky about this technique, it’s very simple – once one plant has gone past its best and the flowers have faded, replace it with another, to keep the beautiful colours vibrant and your garden looking fresh. If you’re growing from seed, you could sow another batch a month or so after the first, so that they can take over the flowering duties, or if you’re looking to continue the colour across the changing seasons, replace with follow-on plants, to keep the colours bright well into the autumn and winter. With so many beautiful shades of bedding plants to choose from, there’s no prettier way to show them off than to use an artist’s tool – the colour wheel – to really display the vibrancy of those flowers. Colour wheels have the primary shades – red, yellow and blue – arranged at equally spaced points around a circle, and in between these the secondary and intermediate colours, a mixture of those shades, sit. 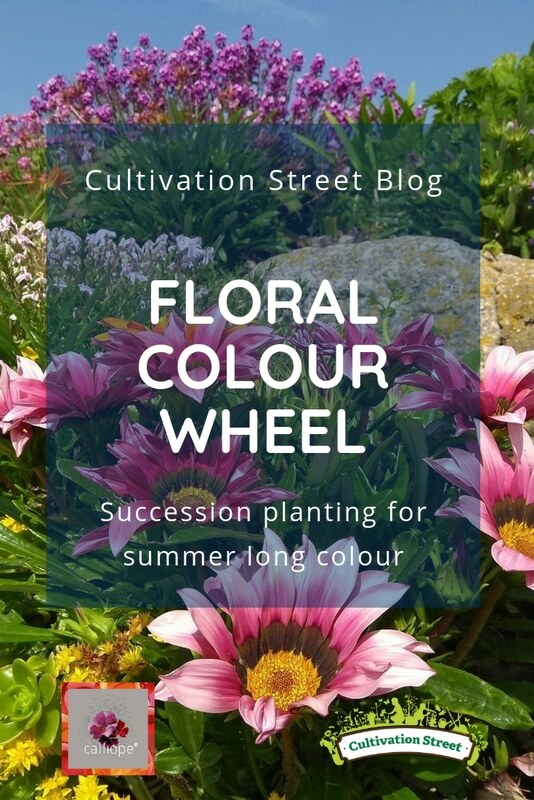 With all the colours arranged around the wheel, you’ll notice that those directly opposite each other, known as complementary colours, really show each other off, and this is a fabulous tip for creative planting. Red and green, purple and yellow, blue with orange – planting up varieties with flowers at opposite sides of the spectrum alongside each other will really make them stand out and be noticed! Whether you fancy planting up a complete colour wheel, or perhaps a ‘drift’ of colour along a border, using all the colours of the rainbow in this way is a really dramatic and beautiful feature. 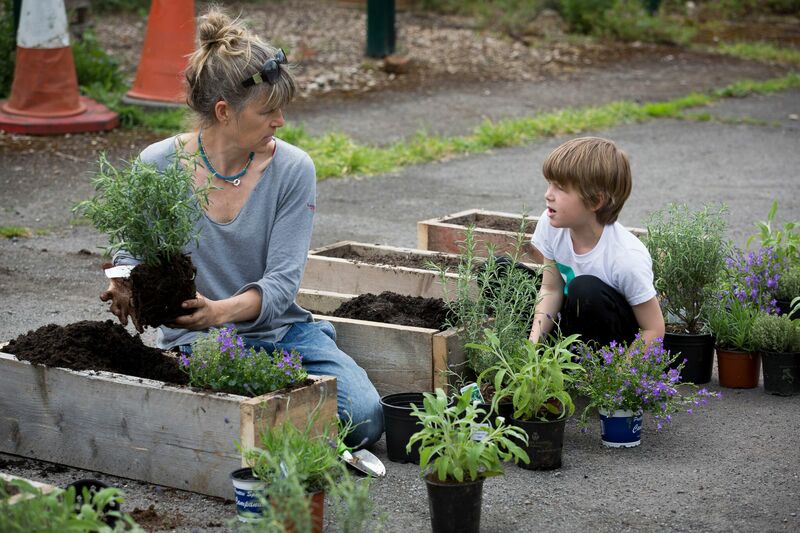 If you’ve a newly-dug flowerbed or large planter – a half-barrel, perhaps – you can create your own colour wheel, or part of one, and use succession planting to keep the same vibrant colours, all year round. Many varieties of summer-flowering annual plants are available in a beautiful range of colours – pansies, lobelia, busy lizzies, petunias and glorious Calliope geraniums, to name but a few. All these have long flowering seasons, so with plenty of care they will keep your colour wheel bright all season long. 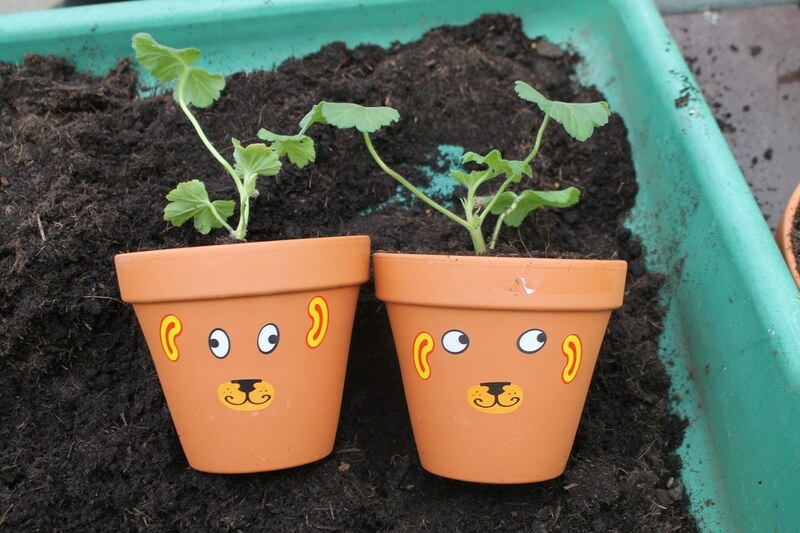 French marigolds, nasturtiums and alyssum are easy to grow at home from seed, so you can plant a batch out early in the summer and then replace them as they start to look tired. Once the first frosts come in October and November, you’ll be looking to find winter colour, and this is where ever-reliable cyclamen, pansies, bulbs and foliage plants come into their own. Ivy and heathers are a great choice for adding interest throughout the chilly weather. By spring, your pansies will still be going strong, and primroses and polyanthus are dependable favourites to add in, with so many shades to choose from.